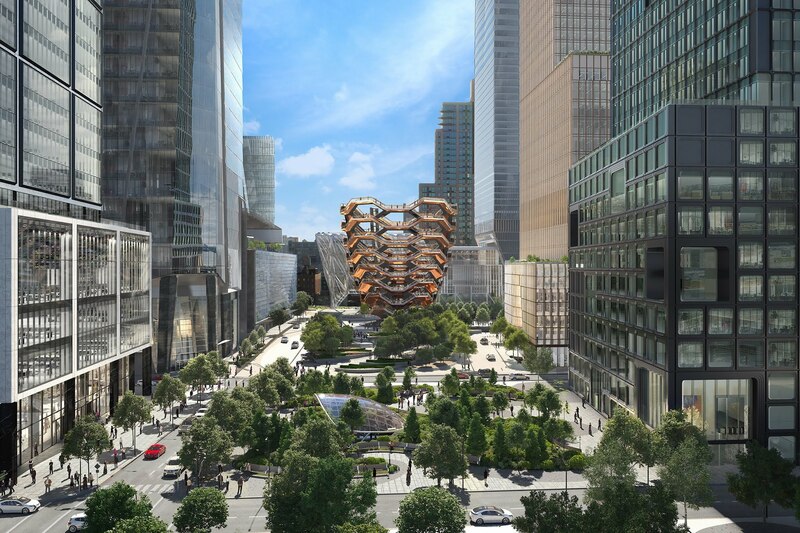 Rendering of the entrance to the market at 10 Hudson Yards. Courtesy of Related-Oxford. 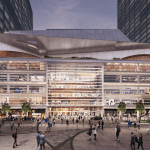 The most hotly anticipated piece would have to be José Andrés’ Mercado Little Spain, a 35,000-square-foot food hall on the ground level of 10 Hudson Yards. 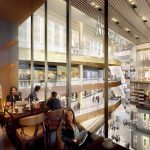 It will have 15 kiosks serving a variety of tapas, as well as a cocktail bar and a Spanish wine bar. 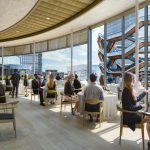 There will also be three full-service restaurants. 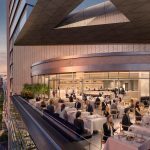 Leña will serve paellas and grilled meats, “an ode to live fire cooking;” Mar is a Spanish seafood restaurant; and Spanish Diner will be an all-day, casual spot serving dishes like eggs a la Cubano, revueltos, platos combinados, and, of course, cervezas. 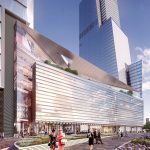 The majority of the foodie offerings will be at the Shops and Restaurants at Hudson Yards, a seven-story building that will also hold anchor tenant Neiman Marcus. 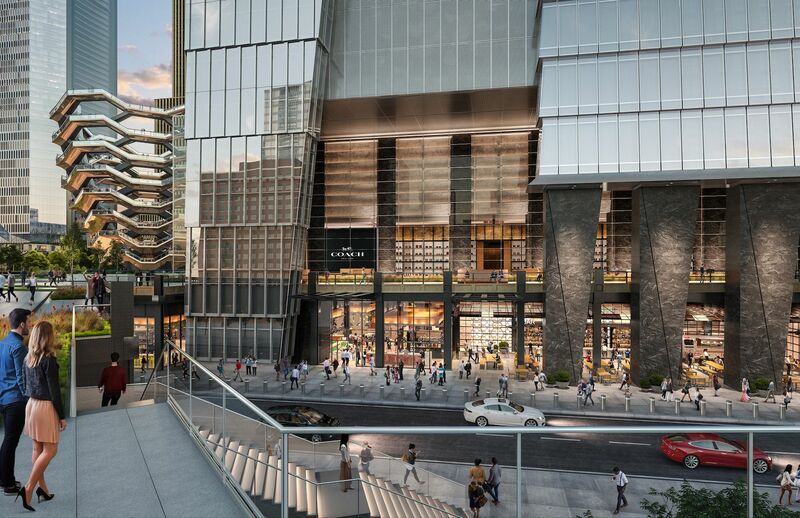 Here, you’ll find Kāwi and Peach Mart from Momofuku chef David Chang. 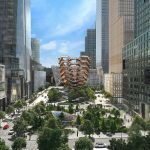 The latter will be a take-out concept serving sandwiches, kimbap, and snacks. 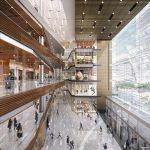 Kāwi will be a 5,000-square-foot restaurant on the fifth floor that is the culmination of executive chef Eunjo “Jo” Park’s experiences working in high-end NYC kitchens (Ko, Daniel, and Per Se) and restaurants in Korea. 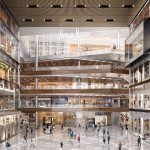 estiatorio Milos, “known as one of the finest Mediterranean seafood restaurants in the world,” will occupy a bi-level space on the fifth and sixth floors. 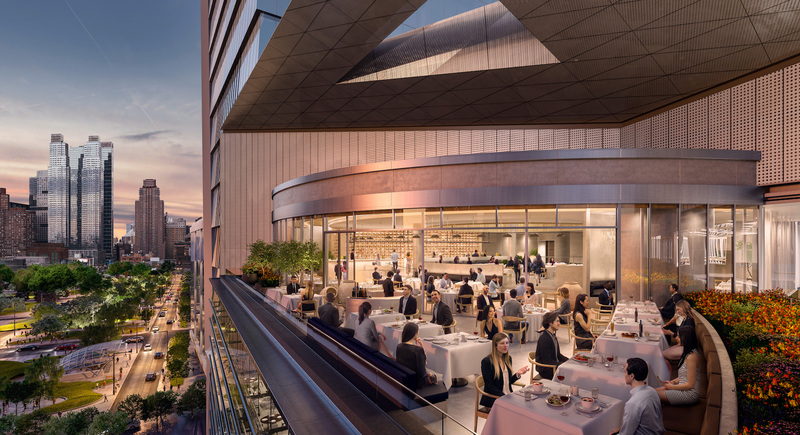 The lower level will hold Milos wine bar, which will feature Greek wines and small plates. 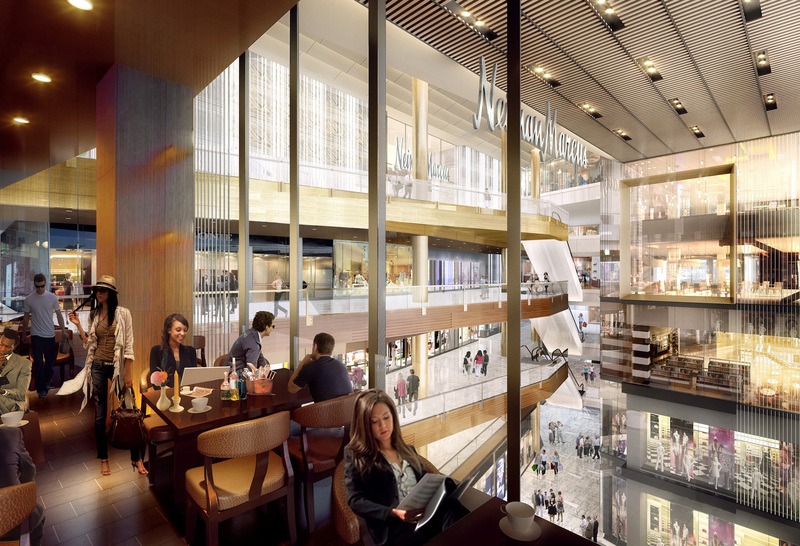 During the day, this space will operate as a Real Greek Yogurt bar with coffees and pastries. 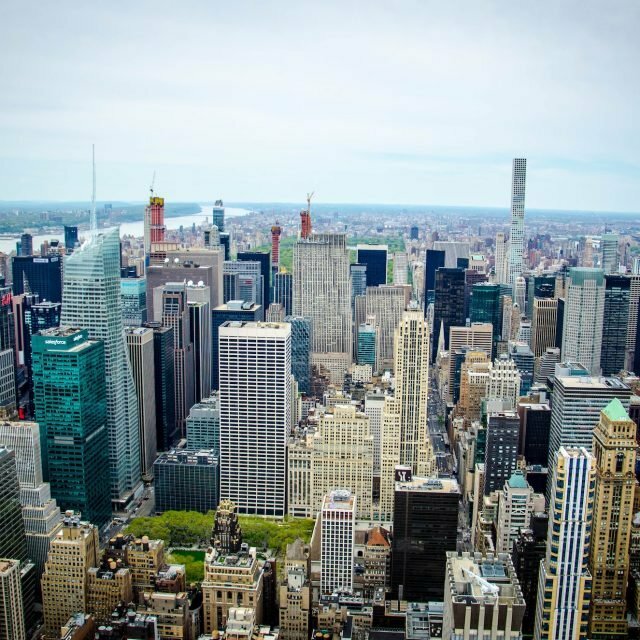 The upper level will be an outpost of the traditional restaurant, which has locations in Montreal, Athens, Las Vegas, Miami, London, and on West 55th Street here in NYC. 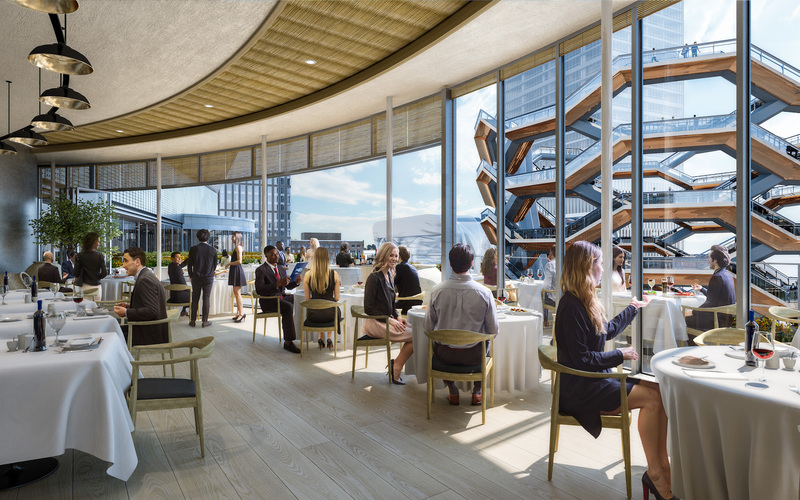 It will have an incredible outdoor terrace overlooking Hudson Yards. 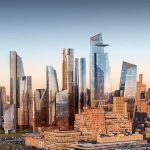 Other foodie options at Hudson Yards include William Greenberg Desserts (you’ll be able to get their famous black-and-white cookies! 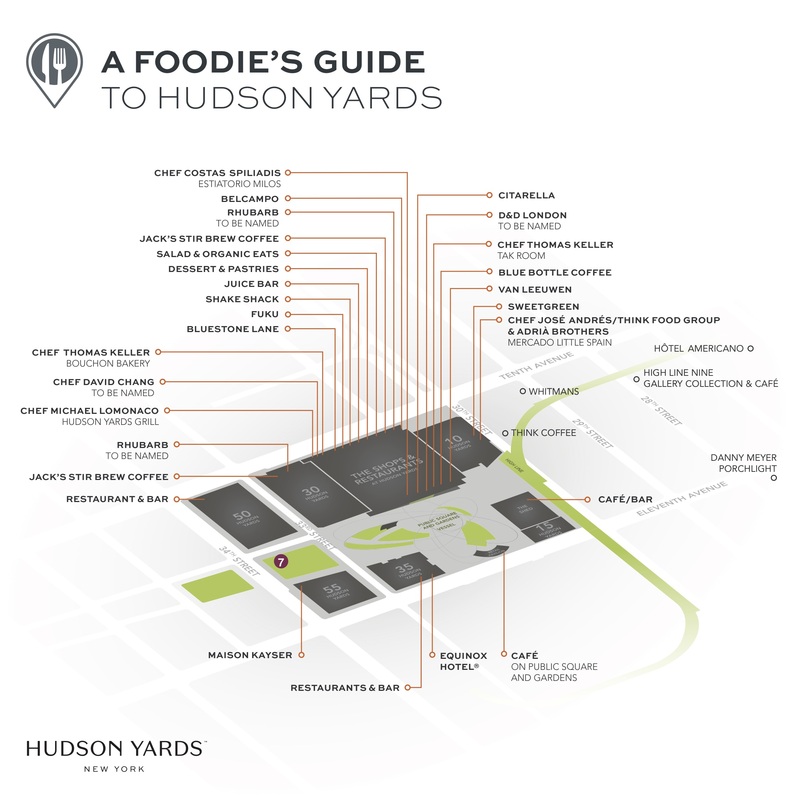 ), Li-Lac Chocolates (Manhattan’s oldest chocolate house), Dylan’s Candy Bar, Belcampo, Citarella Hudson Yards, Hudson Yards Grill, TAK Room from Thomas Keller Restaurant Group, Queensyard from UK-based D&D London, Blue Bottle Coffee, Bluestone Lane, Bouchon Bakery, The Drug Store, Fuku, Jack’s Stir Brew, Shake Shack, and Van Leeuwen. 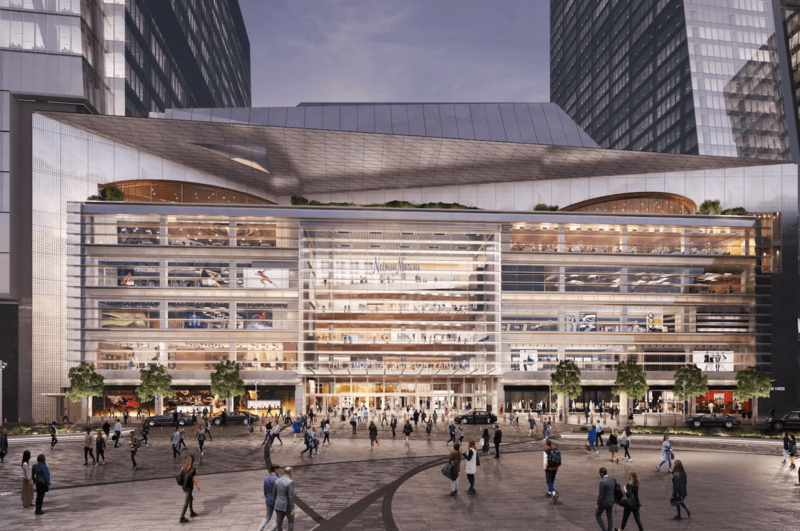 Last week, we learned that Union Square Hospitality Group‘s Danny Meyer will run a 121-seat all-day cafe on the ground floor of The Shed, Hudson Yards’ multi-use art center with a movable shell. 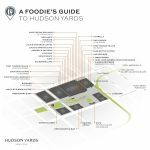 All of these restaurant concepts will open alongside the greater neighborhood on March 15th.